You might need to help yourself some day. It’s hard to win a game of solitaire. If you don’t go out each day, you get old. I once heard a Baptist preacher say, “There are two things I would never want to be. The front pew of a Baptist church or the third verse of a Baptist hymn because neither is ever used.” As a Lutheran, our front row doesn’t suffer too much wear and tear either. God is calling you to be useful. The harvest wants you to be useful, and in Ephesians 4 Paul teaches us about how God seeks to use each one of us. Listen to his words. God’s plan for the kingdom. Our ministry should reflect Christ’s example and compassion for the lost. God has a plan for you, a ministry for you. He has given you a special gift to accomplish it. The Holy Spirit gives you the power to achieve it. Maybe your ministry exists within the parameters of this local church, but your kingdom impact expands far beyond your local flock or your established ministries organization. Look around you. Kingdom work occurs beyond our limited boundaries. Impact happens in the workplace, or in your neighborhood, or even halfway around the world. Don’t put God into tiny boxes and then sit on the lid. God is bigger than that, the kingdom is greater than that. You are more important than that. You are useful. You are valuable to God. You can be used by God and His Church to help accomplish God’s mission. He has a place for you to serve him, and he has given you the grace you need to do it. The strength you need to accomplish. He has also given you a community of believer around you to encourage in it. And all the gifts necessary to achieve it. So never lose hope in living out the mission you were called to fulfill. Good post Keith. I have reason 11: just quit my part time job and now I have too much time on my hands. I’m retired but can’t afford to not create an income. Healthy as an ox and concerned about living until 80 or 90 and supporting myself. Just trusting in the Lord to show the way. We are indeed The Body of Christ as you shared Keith and regardless of which Denomination we belong to it’s our heart focus that makes us part of God’s World wide Church, we are Jesus’ Arms, hands, feet and voice to encourage and uplift each other and yes when needed to correct and warn too and we also reach out to a hurting World with God’s Eternal Hope. Sadly I have met many people who have left Churches hurting and this happened to me too when I was told that my 7 Babies who died at birth or during gestation had gone to Hell, Thankfully I had the Scripture to refute this wrong Teaching, as we know until a Child is of an age of understanding they are under God’s grace and if they die they go to Heaven, they are not punished for the Sins of there Parents and this includes omission too, I Praise and give Thanks to my God of Love that all my Babies are in His arms. I know at times the church can be hurtful. 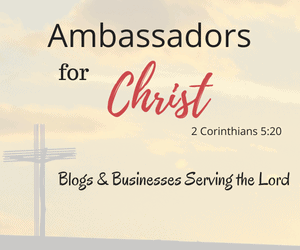 I pray that you find comfort and encouragement from this blog. My pleasure have an awesome day in the lord. Volunteering at church has limitless benefits! Thank you for your terrific explanation of how active participation in your faith community enriches lives. I have found that we have a pretty good time when we work with our church family and gives children pride in taking part of something bigger than themselves and makes memories. I get a lot out of volunteering. I am helping other people and I feel better about myself. I feel like my life has meaning and purpose. It is such a pleasure to use our God given gifts to help make a kingdom impact. Have a blessed day and keep serving. Honestly Keith, I don’t know how to break into and be part of a lasting ministry within the institutional Church. This is what my husband and I have prayed for since and even before getting married but whenever we say, “Hey, we are available! Use us.” Nothing comes of it or they’re like, “Uh, ok. I guess you can come to a board meeting.” Needless to say, we feel so out of place in the Bride of Christ. That is the biggest challenge the church faces, finding meaningful ways to engage people who have gifts and a desire to serve God. Keep praying and challenge them to think differently.